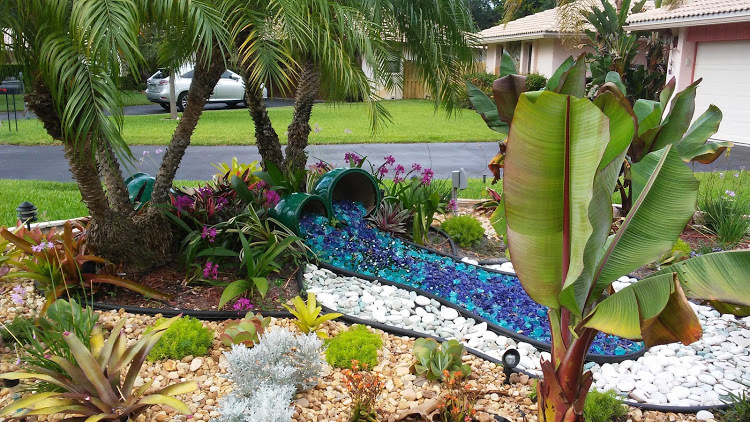 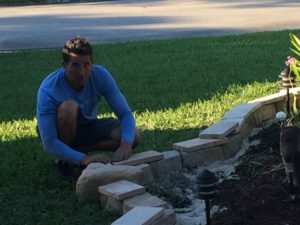 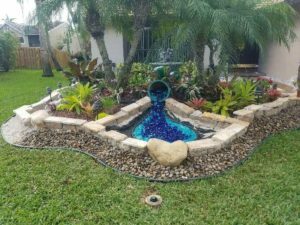 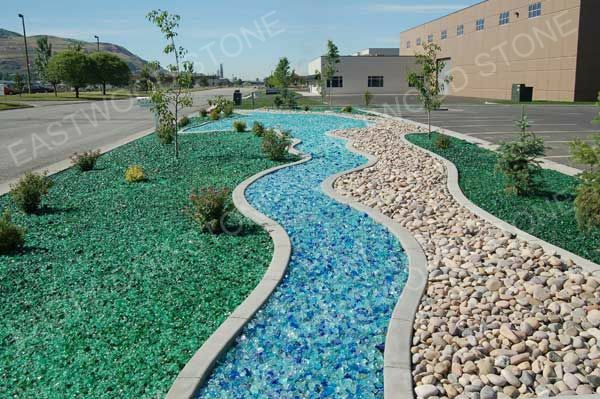 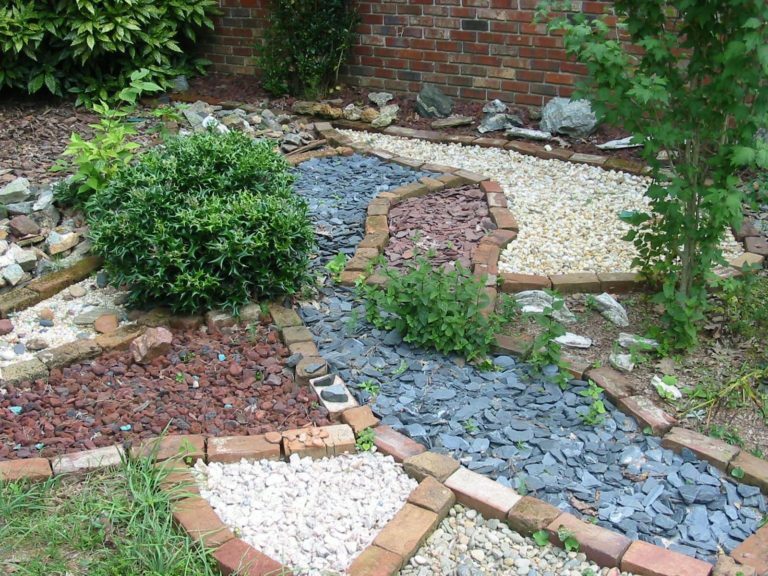 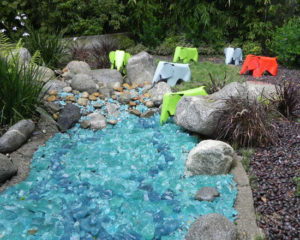 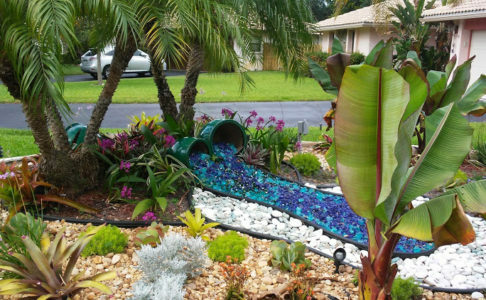 Waterless Waterfalls by J&J Lawn Service Inc.
Below are photos of our Waterless Waterfall features and additional uses of colored landscaping rock. 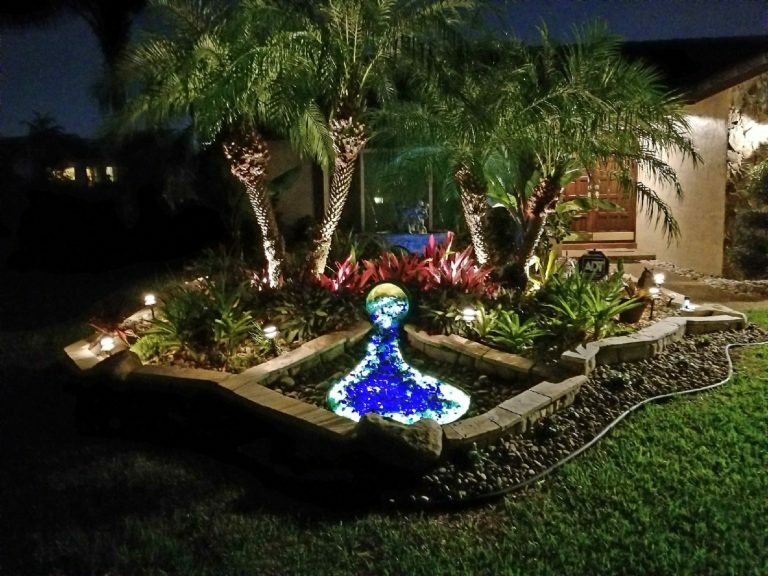 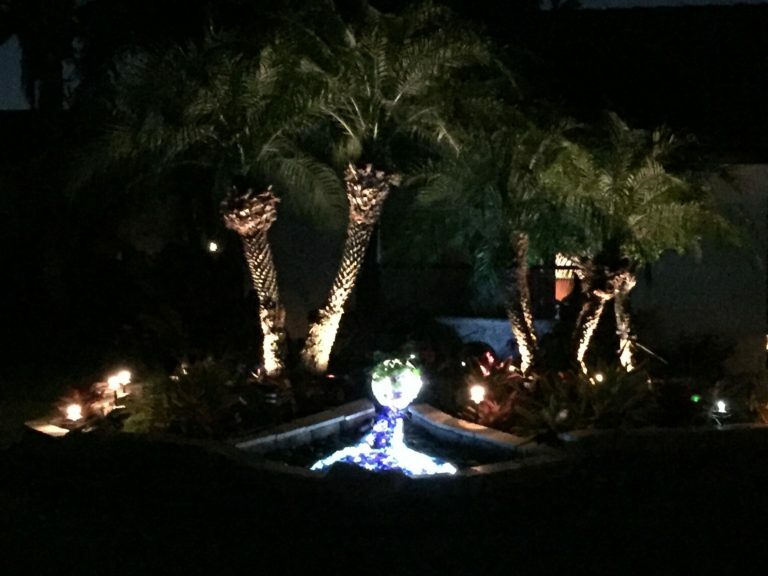 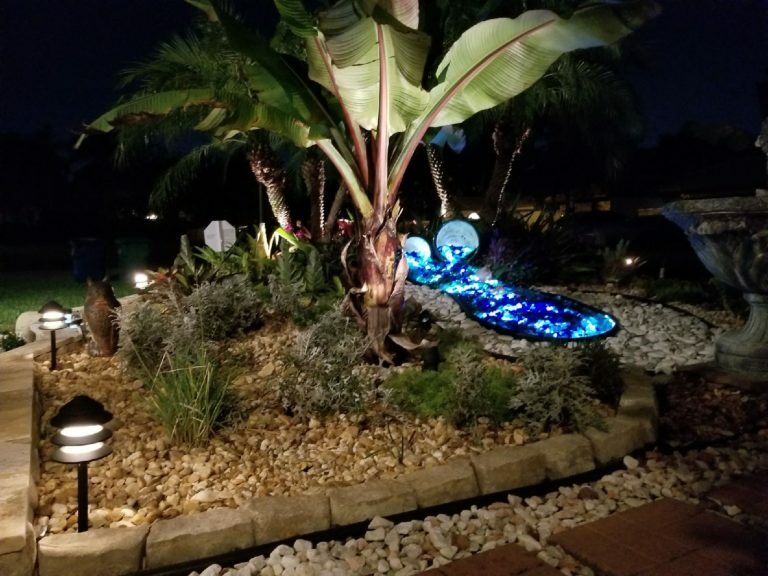 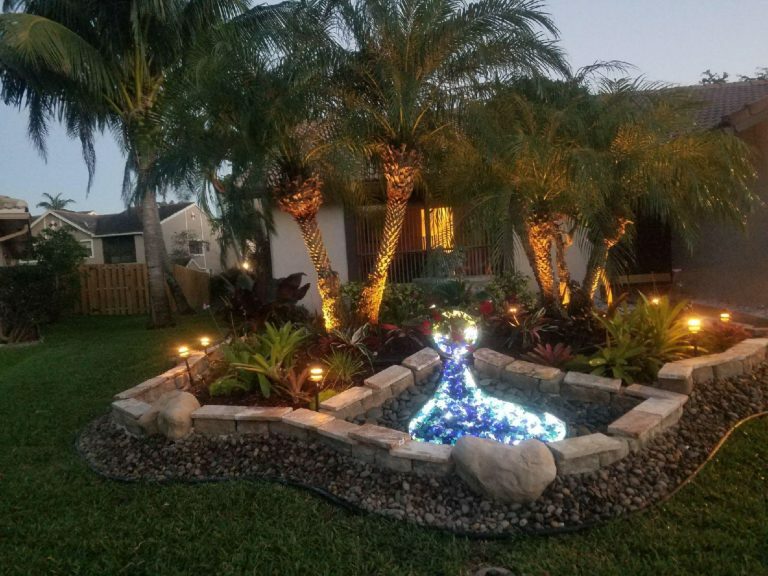 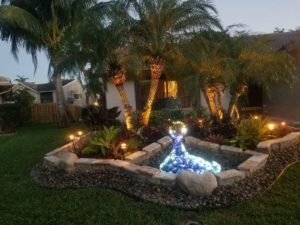 Waterless Waterfalls can be illuminated to add a special night-time lighting unique to your property. 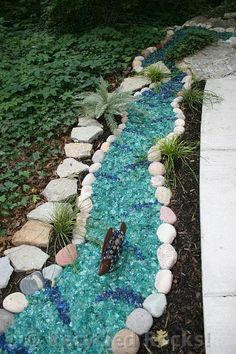 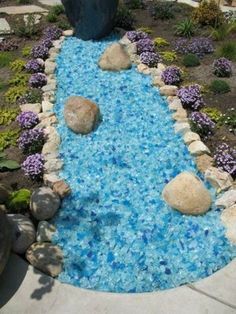 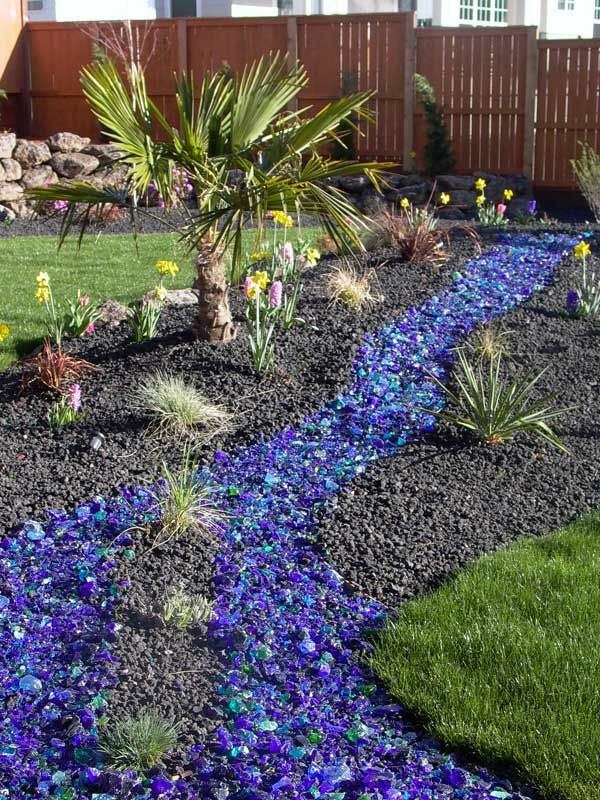 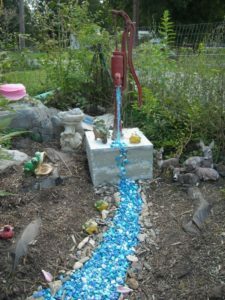 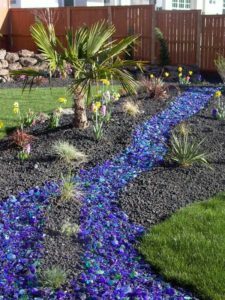 We have designed an eco-friendly recycled glass waterfall feature that is perfect to enjoy without the hassle of maintaining it! 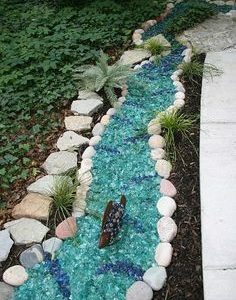 No standing water to attract bugs! 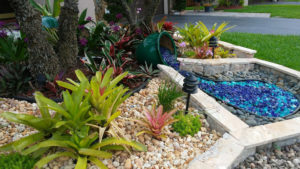 No pond scum to treat and keep algae free! No breaking pumps to replace! No un-welcomed wild life critters! 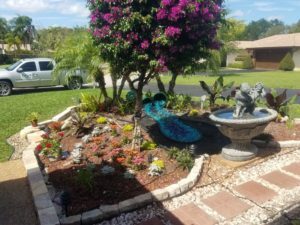 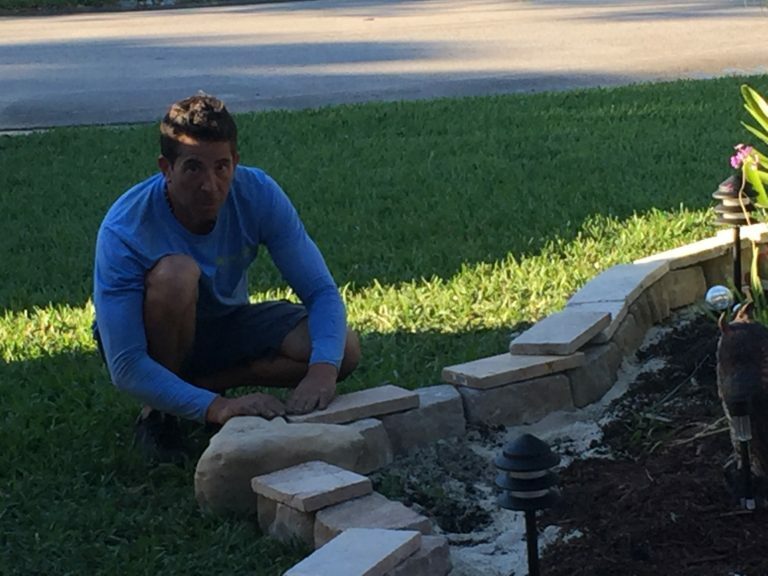 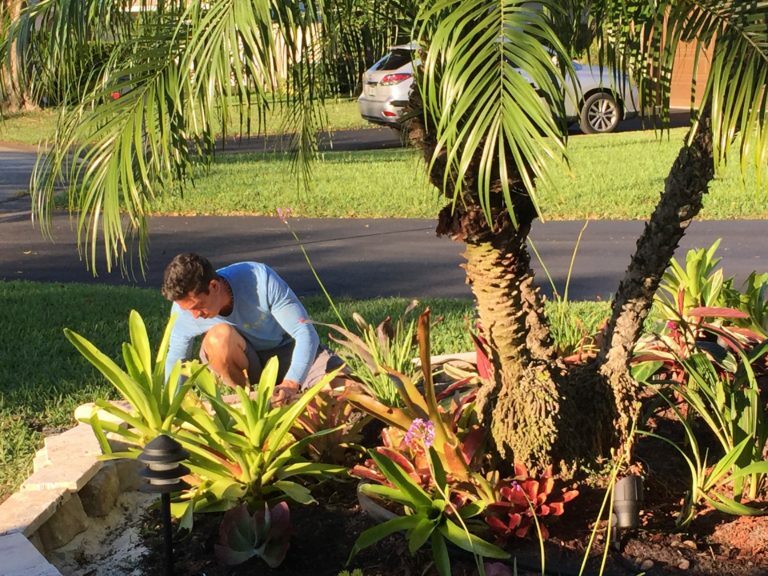 Check out our other landscaping work.